we reach for what we are denied. and, knowing that I should, I cried. or death, or worse. And so I lied. these little lies can change the world. Would I explain now if I could? with apple’s taste. I thought I’d died. my belly full of God and pride. Click on any image in this blog post to view larger. In Western North Carolina, where I was raised, fall meant apples. In October, the burgeoning red and yellow leaves stood like road signs, both marking our way and beckoning us to the orchard. My family has grown apples for as long as anyone can remember. 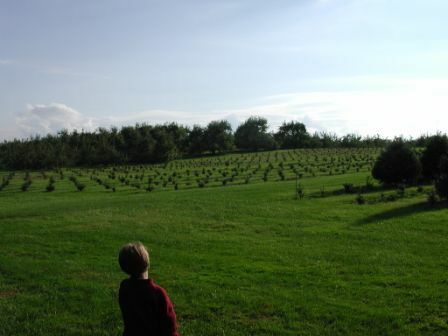 First, a few trees were planted at the Homeplace when the land was settled in the 18th century. And then when the Homeplace was lost to a cunning in-law in a civil war poker match, the farm land became a commercial apple orchard. We were fortunate that the apple growing relatives never forgot that we were kin. Every year, when the apples were ripe, my grandfather and I would climb into his bright red pickup truck and bump along the backroads to Edneyville and the cousins’ orchard. My grandfather had an open invitation to pick the apples there and some of my earliest memories are of him driving the bed of the truck under a pair of shady branches where I would sit while he procured me that first Golden Delicious of the season. My grandfather was a simple man, and apples his connection to those he loved. You couldn’t visit without one being offered. Jesus had loaves and fishes, and my grandfather had Red and Yellow Delicious. They seemed to multiply in his care. It has been more than twenty years since my last visit to the orchard. On Saturday, I felt its call once again. Instead of the orchard of my childhood, we visited a nearby farm that opens to the public every fall, drawing tourists with pumpkin patches, hayrides, and a corn maze. 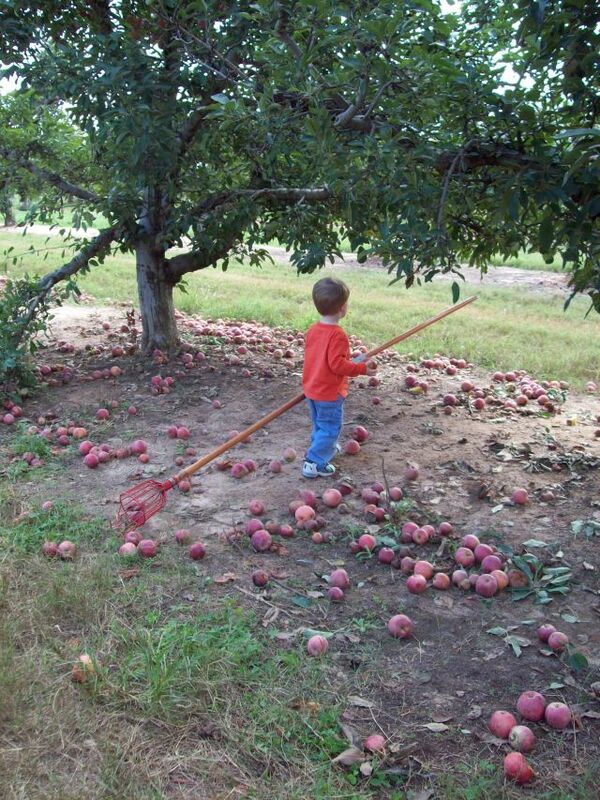 Picking apples was an afterthought. 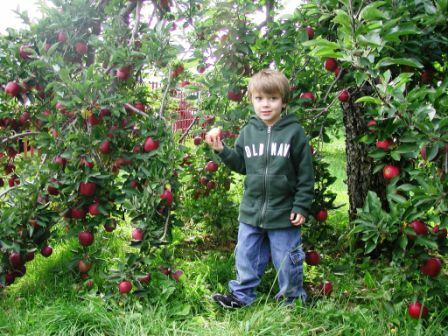 But from the moment we stepped into the orchard, Sam’s expression changed. 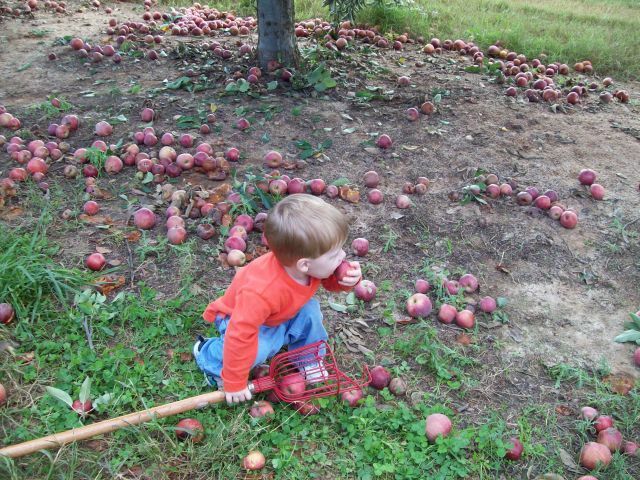 He has always loved apples, but he’d never seen them in such abundance. He was awestruck. And then I handed him that first freshly picked apple. As his face broadened into a smile, I marveled how something so small could be so important. From Cathy Coley, a bushel and a peck! It has been about a hundred years since I sketched, but listening to all the visual artists on the freeing quality their arts add to their lives, I began to miss doing so myself. So here is a sketch of my forlorn love. Not bad for an exercise in recalling the stickiness of pastels. I loved rush-layering the colors during baby c’s nap. I have a complicated relationship with apples. As a kid, I wasn’t a great fan of them, but red delicious were always in the fruit bowl on my mother’s orange counter. Mealy, but pleasant, usually, and a very tough skin. Just don’t let them sit too long in the bowl. Yuck. As a college student in western Massachusetts, I began a tradition of annual apple-picking and pie-baking, MacIntoshes and other thin skinned varieties were the perfect complement to the plain homey crust and cinnamon, allspice, cloves, maple syrup, molasses and sometimes oatmeal fillings. Throw in a Granny Smith for extra snap in the flavor. I baked them for breakfast, made veggie chili with apples, put them in everything and crunched them like crazy until the bags from the orchards were gone. My kitchen scented the neighborhood. After I moved from Boston out into the far suburbs northwest with kids, I found myself living in a valley known as Apple Country. Autumn, always a well anticipated season, became like Eden. The yellows and reds and oranges bloomed magical in the hilly wooded landscape. Turn a corner, and there’s an orchard. Sudden open green with craggy old trees bursting in ripe red and gold, so laden with apples the branches dragged to the ground. Perfect for bringing the boys apple picking. It was a favorite event mid-late October, and sometimes even in September for our family, with loads of picture taking and freshest apple crunching, right from the trees. By my mid-late thirties, hiking through the orchard sent me coughing and blaming the probable use of pesticides for my discomfort. Then, one afternoon, as I sliced apples for a pie, I began coughing in earnest. That was the last pie I baked. Almost overnight, or so it seemed, every apple became a worse threat to me than the witch’s for Snow White. No kiss from my fiancé would rescue me from this throat closing sleep. Jump ahead a few years to the present. We have moved from Apple Country to coastal Virginia, and I’ve chalked up apples as a strictly New England experience. Occasionally we buy bags of apples in the grocery, for the bowl on the kitchen counter, but I have to stay clear of them. I water down baby bottles of apple juice with my head turned far away, and don’t allow my boys within 4 feet of my face when they have a glass or have just had one. It’s very sad. My husband and mother-in-law are big pie fans. Come the pie baking rounds beginning at Thanksgiving, when the apple ones are in the oven, I am cloistered upstairs and all the downstairs windows are open and fans blasting a hurricane wind of apple, cinnamon, cloves and allspice out into the neighborhood. I really miss the wholesome apply bounty of this season. My wish is that someday soon, my fruit allergies go out the way they came in, and shut the door behind them. From Bec Thomas, a photograph: “Here is my selection, I actually had time to send one in, yay me!” And yay for us, that we get to see Bec’s great photograph! A beautiful poem from Jennie Johnston (not to be confused with Jen Johnson, above! ): “I’m so glad that I have finally been able to enter. 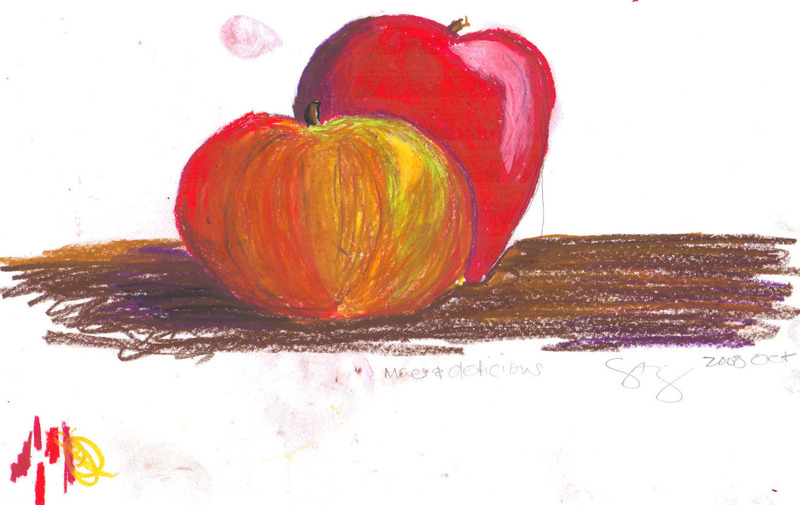 Apples just filled my mind for a few days and out came this poem.” Great to see you here, Jennie! From me (Miranda), a painting. I had a nice, fat, gallery-wrapped canvas (gift from my mother) and knew I wanted to paint it lime green. 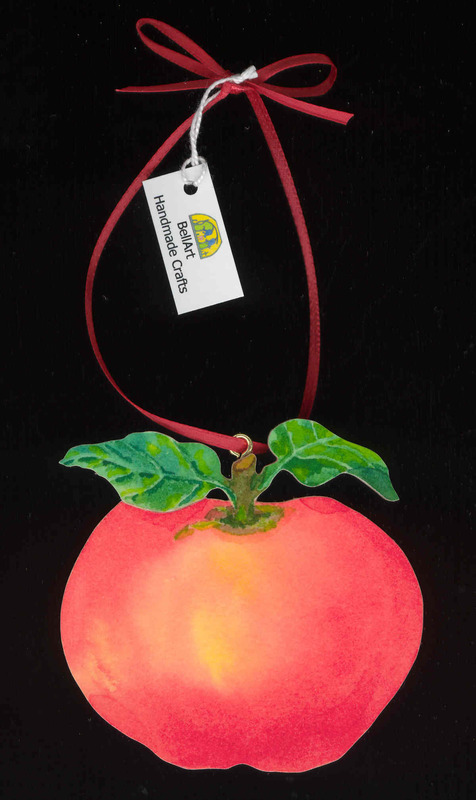 Then I used an apple half as a stamp with several layers of acrylic paint. 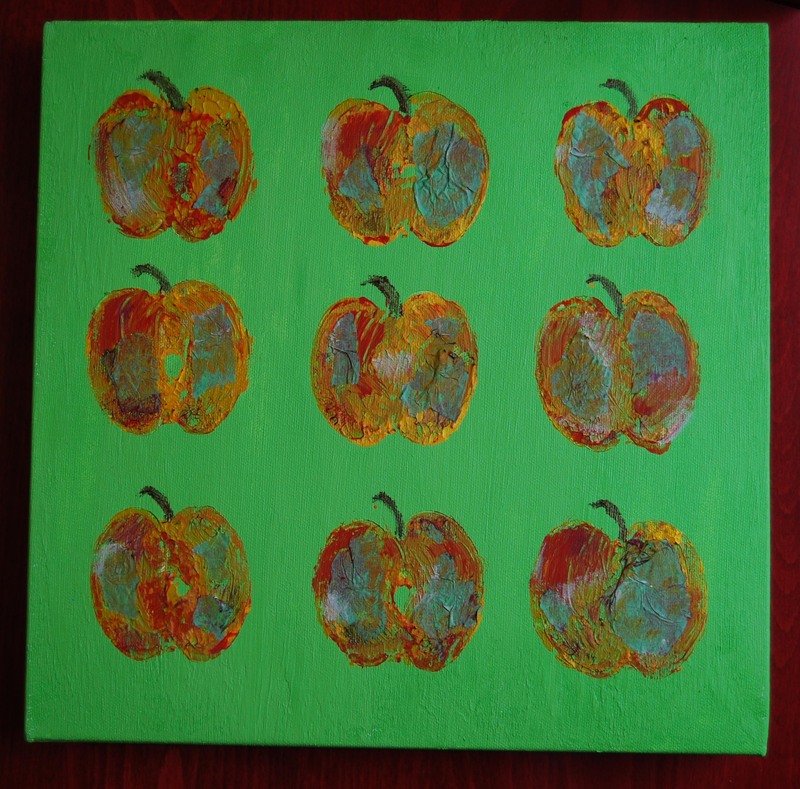 I needed some texture, so I used some green tissue paper to build up the apples. I’m pleased with the result, but especially the process. I had some ideas, but I really didn’t know where I was going — and that was just fine. Use the prompt however you like — literally, or a tangential theme. All media are welcome. Please e-mail your entries to creativereality@live.com by 8:00 p.m. eastern time (GMT -5) on Tuesday, October 28. The winning entry receives a $10 gift certificate to amazon.com. Writers should include their submission directly in the body text of their e-mail. Visual artists and photographers should attach an image of their work as a jpeg. Enter as often as you like; multiple submissions for a single prompt are welcome. There is no limit to how many times you can win the weekly contest, either. (You do not have to be a contributor to this blog in order to enter. All are invited to participate.) All submissions are acknowledged when received; if you do not receive e-mail confirmation of receipt within 24 hours, please post a comment here. Remember, the point here is to stimulate your output, not to create a masterpiece. Keep the bar low and see what happens. Dusting off work you created previously is OK too. For more info, read the original contest blog post. what a great variety again! even the similar ones were so different – each poem, each photo, sketch and essay. that difference is what keeps me anticipating the outcome each week. one word, so many perspectives. I am so honored to win this week, especially with such an amazing harvest to show for this week’s prompt!! 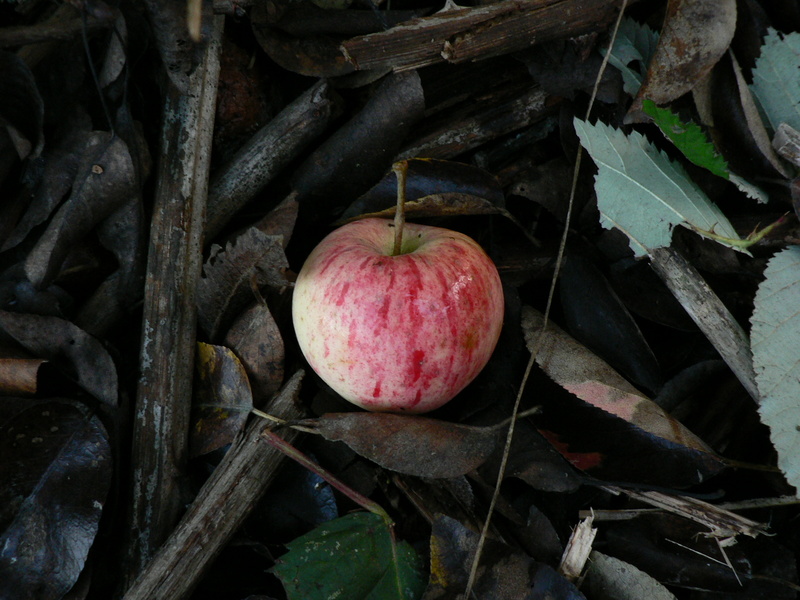 There really is something magical about a simple apple, isn’t there? Thank you very much! I am always excited to see the variety of entries you receive in response to these prompts – each weekly post is such a treasure trove of images and poetry and prose all gathered together, I love it, and always mean to comment on the contributions but cannot remember the comments I intended to make on individual pieces by the time I get to the end of the post! Jen, those poems are stunning, especially the first one. The Breakfast interview says you’re a published poet; where can I read more? Although I’ve tried, and plan to try again in the future, I have yet to get a book published. I have posted a few more poems here and there at my blog (search the tag “poetry” at http://mamasmagic.blogspot.com) One of my shorter term goals is to work some more on my website (which is very much under construction and has been for a while) so that it includes a section to showcase some of my writing. So you could check back at my website, http://www.mamasmagicstudio.com and hopefully in the near future you’ll be able to read more there!